My goal on the mission trip was to show God’s love to the Batwa people. I saw the hope of redemption in their eyes and felt it in their hugs. Through Jesus Christ and the people willing to be His hands and feet, Hope Ministries Uganda is restoring lives and helping the Batwa to have hope in their future. Currently we offer short term mission trips that last 10-15 days. You can sign up either as a SHORT TERM TEAM or OPEN SHORT TERM TEAM (specific dates). 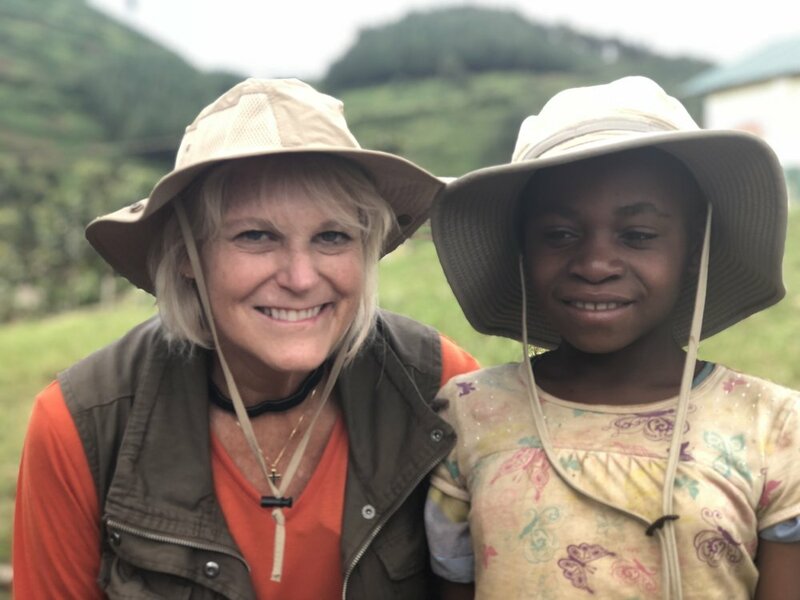 SHORT TERM TEAM: For these trips, you gather a team of 10-15 team members from your church, school, or organization and then partner with us to serve in Uganda. OPEN SHORT TERM TEAM: If you are interested in coming on mission, but do not have a team of your own, you can sign up for one of our open teams. An adventure of a life time! Teams of 10-15 are a great size for a team. Teams can split up into two smaller groups if desired to work in different areas. We can possibly go up to 20 in a group, but this would have to be approved beforehand. Our hope is that your group will have similar ages, job skills and activity levels. This will help make the team more productive. Short Term Teams generally stay anywhere from 10-15 days, which includes travel. 10 is the minimum. Depending on your flight you typically lose about a day coming. You may also need a rest period for jet lag. Any time of year is a great time of year to take a trip to Uganda. The weather in the Kisoro District during the day is in the mid 70's and a night it drops down into the mid 40's. During rainy season it does sometimes drop to the upper 30's. The temperatures are lower in this part of Uganda because we are located at higher elevations. Airfare varies greatly throughout the year, however. Generally March/April and Sept/Oct are the cheapest times to travel. Winter is the second cheapest, and summer is the most expensive time to travel. Your specific airfare will depend on the airport you fly out of, the carrier you use, and the flight pattern you choose, but generally it will range between $1100 and $2,000. You will fly into Kigali, Rwanda. You will have to apply for an East African Visa which will allow you to cross over the boarder into Uganda. You can book this, or we can book your tickets for you for a truly all inclusive trip cost. Cost will vary based on what type of team you bring. For instance, if its a medical team, the project supplies may be more expensive. Running a full children's camp will be more expensive than a light construction trip. In general, though, all in-country expenses generally run at $1500 US dollars per person plus project expenses. This is inclusive of all in country expenses. It does NOT include airfare, your East African Visa fee to enter the country ($100) and any pre-trip vaccinations you choose to get. An exact per person cost will be given to you when you complete the preliminary booking form for your trip. Completing the below form does not obligate you in any way. Please select one or more options. This helps us to get an idea about your group and what types of projects your group will be able to do. Payment/Forms policy agreement: * I agree to submit the required paperwork in a timely manner, submit financial requirements and payments as scheduled, and notify Hope Ministries Uganda USA of any changes as they occur. I will do everything in my power to prepare myself and my team to be ready to face the hard realities of ministry in Uganda with the Batwa by utilizing all the tools that Hope Ministries Uganda USA makes available to me. Trying local foods and favorites is always a fun part of being on mission! Dancing is such a beautiful part of our culture! We celebrate Jesus! Building relationships with our Seeds of Hope Children impacts them forever! Going out into the mountains to share Jesus Christ is an experience you will never forget! Some of our team members come back on every trip! Our teams leave as mighty warriors! Gorilla Lodge in Rubuguri is where we set up camp. Teaching skills, like sewing, is a gift that keeps giving. Going on mission is an exciting God adventure, but it can come with a lot of questions and concerns about going to an underdeveloped country and the people that you will encounter. Below is information that will probably answer most of your questions about your potential trip. We try to keep our information as up to date as possible. Most of this information can be found in our handbook. The handbook has all forms that need to be turned in prior to the trip, gives an introduction to Hope Ministries Uganda, the country, the Batwa, what to bring. We also have a team leader handbook that helps with organizing your trip. Knowing how to prepare for your trip is important so that you can be prepared to serve God! Please be sure to read the Survival Guide thoroughly and complete all necessary forms and turn into your team leader in a timely fashion. Guiding your team, setting financial goals, and preparing your team for the mission trip is so important for a successful mission. This guide gives you guidelines to make the trip a success! If your questions were not answered from the Team/Leader Survival Guide, please feel free to email us and we will answer your questions!